Just ANutter paper crafter...: Die Cut Diva's Animal/Pet Challenge! 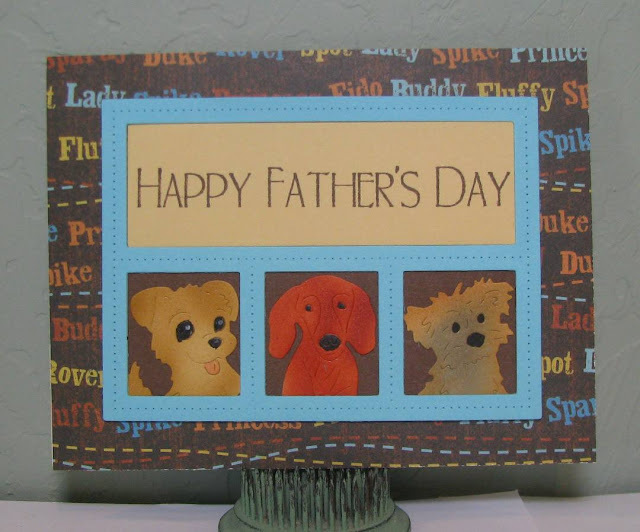 Dies: Sweet Pea, Max & Frank (Frantic Stamper), die cut window (My Favorite Things Blueprints 27). Dog die cuts colored with Copics compressor. Stamp: sentiment (Classic Dad, Marks Finest Papers-out of business), Rich Cocoa Memento Ink. Paper: patterned (DCWV Pet Stack), scraps. Make sure to enter our challenge for a chance at that great prize!